One of the things I love most about living in Australia is eating in season. When I was in the UK I could buy any fresh fruit or veg at any time of the year, at a price, of course. I figure this is because the produce came from the four corners of the globe. Down under a large amount of the produce at the supermarket is homegrown which means there isn’t as much choice but the food is fresher and we eat in season which is better for the farmers, better for the planet and better for my budget. I love eating in season not only because I’m a tightarse, but also because the challenges it brings to my recipe repetoire, It’s a chance to think outside of the apple cart. Autumn is abundant; grapes, sweet potatoes, big fat juicy apples, broccoli are all in season. And so is pumpkin! Last week, I picked up some outsize pumpkins for just 79 cents a kilo! Bonza! 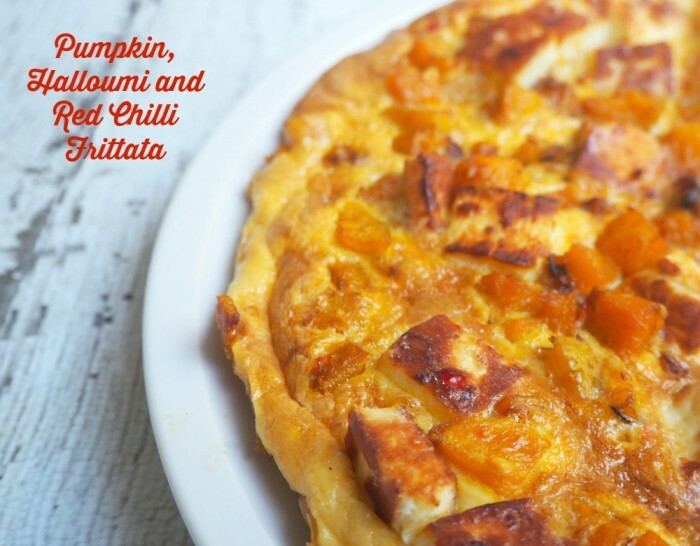 Pumpkin is one of my all time favourite vegetables, it’s great in sweet and savoury dishes, and you can even save the seeds, wash them, toast them, and gobble them up for a delicious and tasty snack! What’s not to love? So, with the abundance of pumpkin in the house, I enthusiastically embarked on my latest mission! 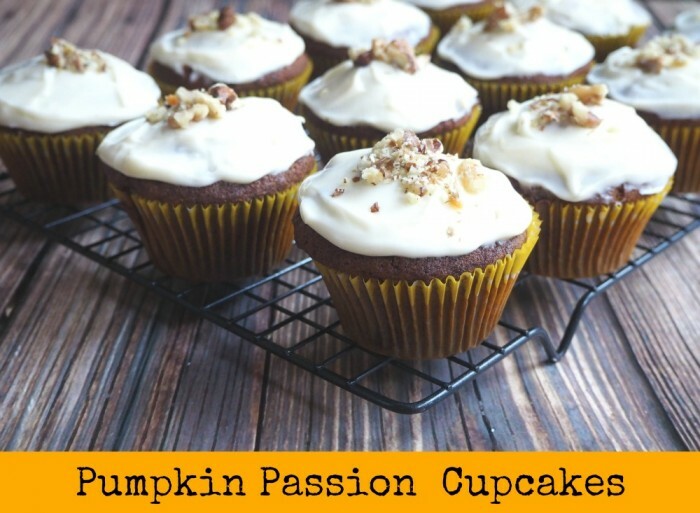 Pumpkin 7 ways! David seemed a little concerned. Maybe he thought we were going to look like pumpkins after our indulgent pumpkin fest, that is big, fat and orange! He needn’t have worried. The end result was just a week of super suppers, lovely lunches and even a few sweet treats. 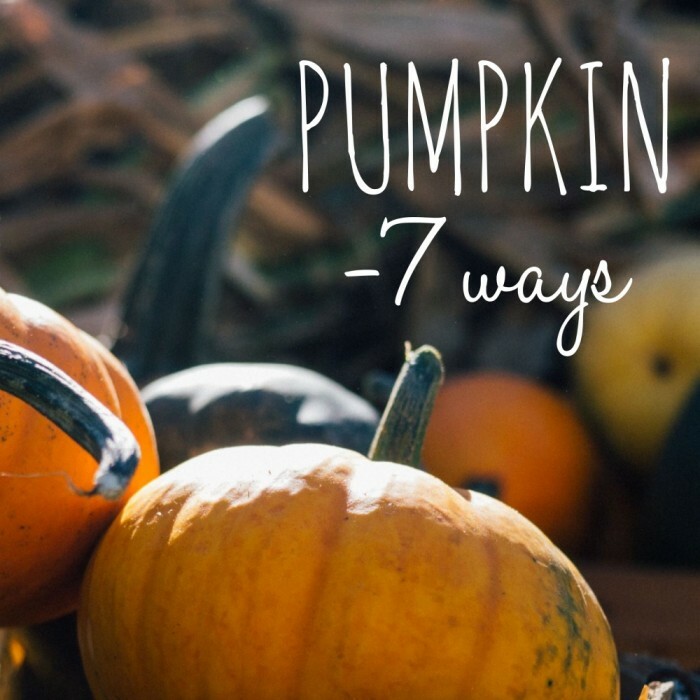 Pumpkin – 7 ways? Edibly easy! This is a new addition to our repetoire and we really love it! 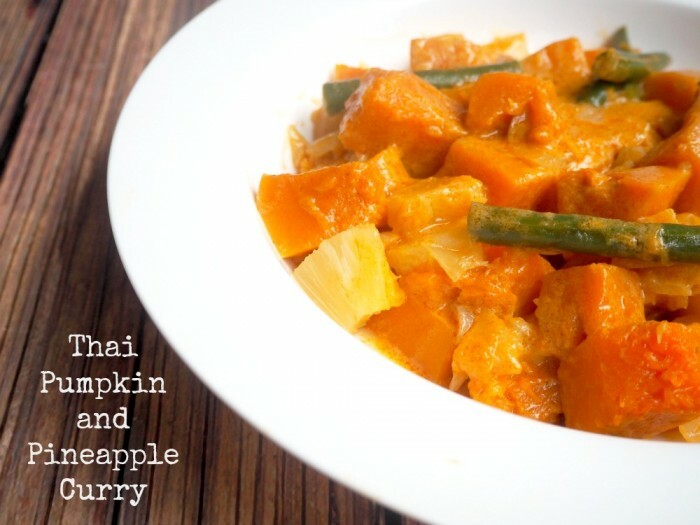 A sweet and spicy way to start the week and a delicious choice for Meatless Monday. 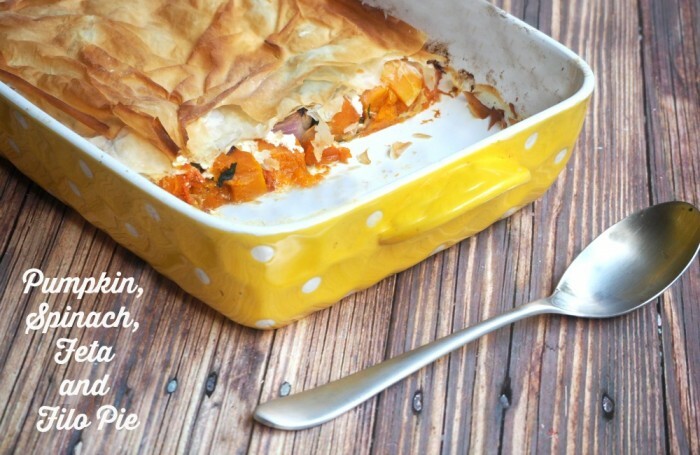 This is a lovely light pie that’s easy to make and delicious to eat. The filo is lovely and light and won’t damage your diet while the leftovers shape up into a tasty salad. It’s a firm favourite in our house! This is one of our all time favourite Meatless Monday dinners. It’s so versatile, delicious served hot or cold and any leftovers go great in tomorrow’s lunchbox. Because everyone knows everything tastes better with halloumi! 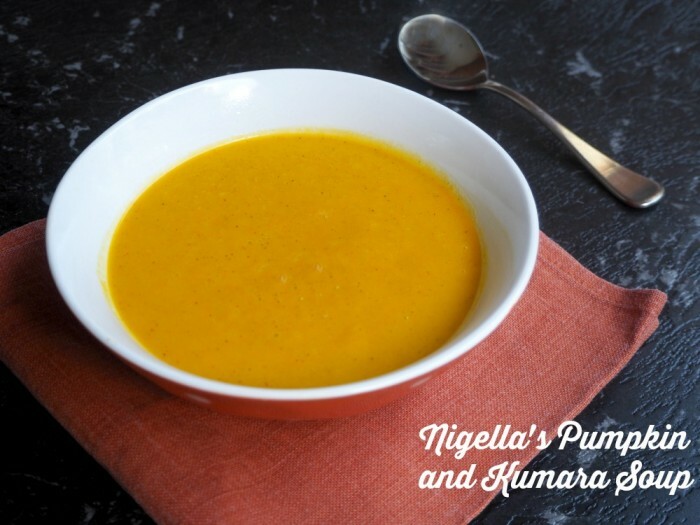 I couldn’t resist whizzing up a big pan of this soup as both pumpkin and kumara were cheap as chips. It would have been rude not to! This is easy peasy on the stove or in the Thermomix. This soup is as sweet as the weight watchers one is spicy. It’s enough to warm the cockles of your heart. And, it does! 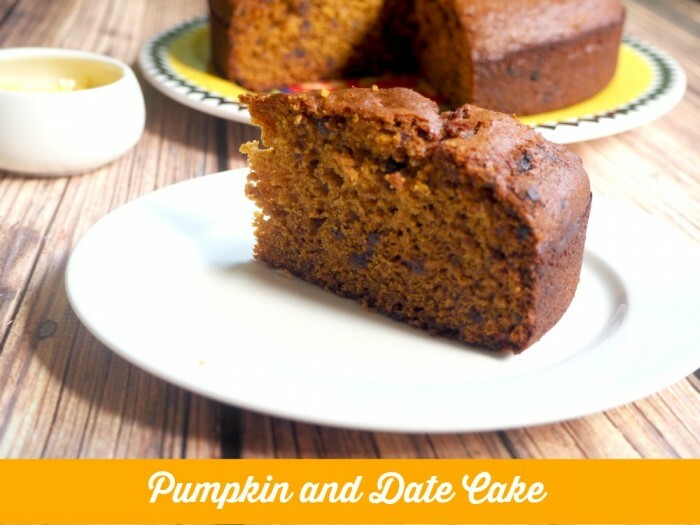 Use your loaf and put some pumpkin in! 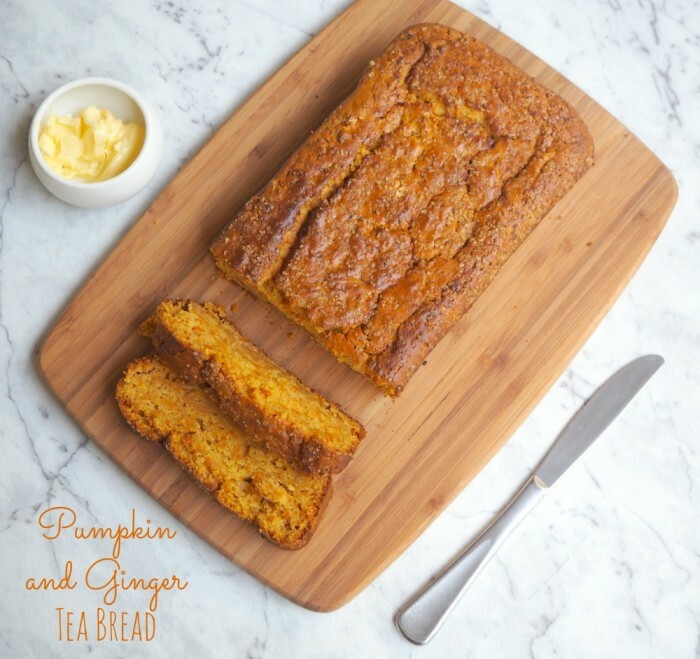 This lightly spiced, marvellously moist (sorry about the “M” word) tea bread is, as it’s name suggests, perfect served up with a cuppa, and like most things even better with a bit of butter on it! It freezes well too, not that it ever lasts that long, because it tastes too good! It’s only fair that everyone should have their cake and eat it, so there’s a Thermomix conversion too! To eat this cake is to love it. It’s so easy to make – you don’t even need a Thermomix (although I added the conversion just in case you really want to)! Everyone loves this and it’s one of my all time favourite cakes to bake, and to bite into. Just good old fashioned cake-a-licious! The ultimate way to hide veggies from the veggie-phobes in your midst! These cute cupcakes are little handfuls of deliciousness. They’re easy as with a Thermomix or without. I often make a double batch and pop them (uniced) into the freezer to enjoy later. Nom nom!